Celeb Gossip News – Star Wars 9 leak: Luke and ANAKIN scene revealed and it's NOT a flashback? Star Wars 9 leak: Luke and ANAKIN scene revealed and it's NOT a flashback? Fans have been waiting to see Anakin Skywalker again ever since the final trilogy was announced. Darth Vader made a shock return in Rogue One but this has always been the Skywalker saga, so it is fitting that Anakin Skywalker be there at the end. There had been descriptions of Anakin concept art drawn up by JJ Abrams for The Force Awakens but the scene was never filmed. Is Abrams bringing the father and son back together one last time – and how is this possible now that both are dead? As filming gets underway with constant reporst of rewrites and shifting storylines, leaks and rumours describe concept art and tantalising scenes. As always, they should be taken with a large pinch of salt. One sets up the possibility of a powerful moment when Luke and Anakin finally face each other. They shared a brief moment and exchanged smiles on Endor in The Return of the Jedi, but now they are both in the same place. They may be dead but every Star Wars fan knows that is no barrier to anything. The leak reveals: “Specifically a description of Luke’s force ghost standing in a cave with many floating white orbs. In front of him is Anakin’s force ghost. However it does not appear be the youthful Hayden Christensen. What the Force is going on? But is this really want fans want? It all sounds rather complicated and muddled. Shaw played the original Anakin force ghost before Chrisensen’s prequel trilogy incarnation lead to the funeral scene being digitally updated with the younger star. Fans have now canonised Hayden Christensen as the definitive Anakin. His performance was hugely divisive at the time, but over the years he has been more widely accepted. 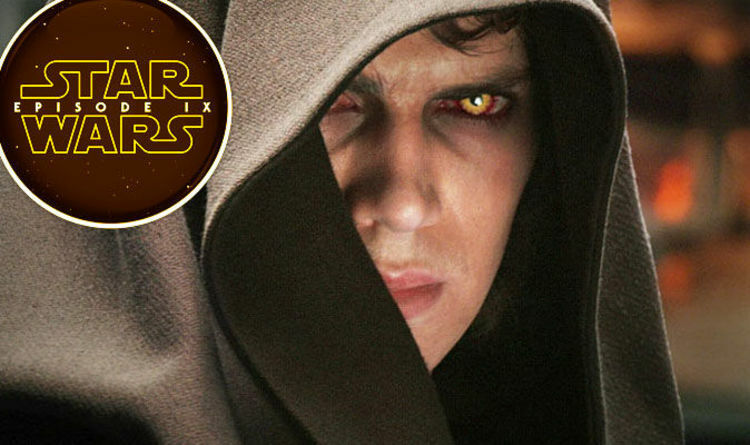 There was a long-established description of plans in The Force Awakens to show a scene with the force ghost of Anakin wher his face flickered between Christensen and Darth Vader. This would reflect his duality and the struggle he faced between the Light and Dark Sides. It also clearly ties in with Kylo Ren/Ben Solo’s inner battle. The new description doesn’t make immediate sense. While fans will be eager for any return of Anakn,especially if he interacts with his son Luke, perhaps this is not the way they will want to see it handled.